Precision Carriers and Tooling for PCB , Systems Assembly. 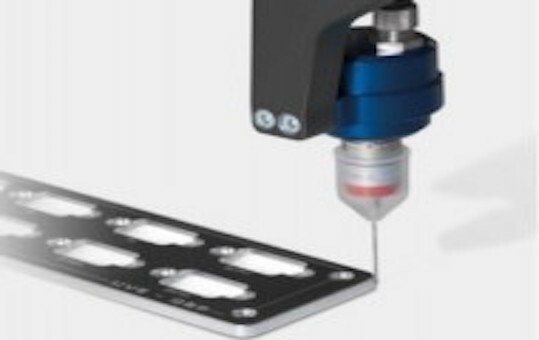 Jigs and Fixtures for Medical Device Assembly and Test, Pharma applications. Design and Manufacture of Laser SMT Stencils for accurate and repeatable Solder Paste Printing. Provide clients with validation support throughout all stages of equipment design, S/W development, build, installation & production (IQ, OQ, PQ). We offer development validations to ISO 13485 standard. Comprehensive Range of Design and Manufacturing capabilities to meet exacting and time sensitive customer requirements. 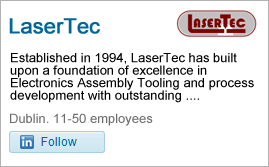 LaserTec provides product and tooling prototype services utilising a broad range of materials. 3D scanning, 3D Printing and CNC machining employed.